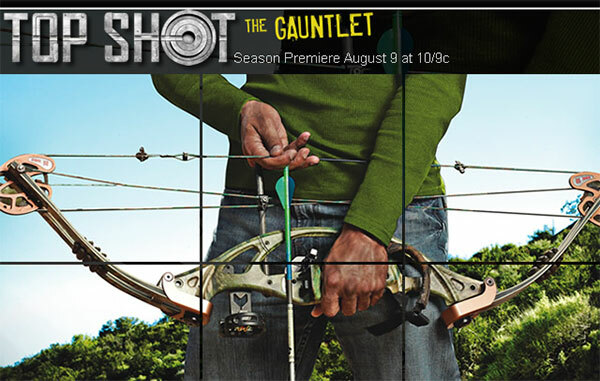 Top Shot fans… get ready. The third season of the hit TV show Top Shot premiers on the History Channel Tuesday, August 9th at 10:00pm (9:00pm Central). Visit History.com for photos and bios of all Season 3’s sixteen new competitors. Those vying for the $100,000 Top Shot grand prize include Mike Hughes, a USPSA production division shooter from Washington, and ace ICORE and USPSA wheelgunner Cliff Walsh of Florida. Other practical pistol shooters include Amanda Hardin from Alabama and Mark Schneider of Florida. Watch the video below for a Season 3 sneak peek, including short profiles of all the competitors. Share the post "Top Shot Season 3 Debuts August 9th — Meet the Cast"
Fans of 3-Gun competition should watch this week’s episode of Shooting USA television. 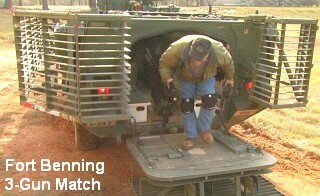 Wednesday’s show features the Fort Benning 3-Gun event, the only multi-gun match held on an active Army base. At this 3-Gun match, the USAMU Action Shooting Team created very tough stages, with combat-type challenges for the competitors. The video below shows stages at the 2010 Fort Benning 3-Gun Competition. The video begins with a competitor firing an Army-supplied M249 machine gun. In addition to the Fort Benning 3-Gun coverage, this week’s ShootingUSA broadcast features three other interesting items. Shooting USA provides a first look at the U.S. Army’s new, upgraded sniper rifle, the M24EI, based on Remington’s XM-2010 modular rifle. Also, Shooting USA tells the history of the Henry Rifle, the first really successful lever rifle and the predecessor of Winchester’s classic Model 1866 and Model 1873 lever guns. Last but not least, Team Smith & Wesson captain Julie Golob gives a lesson in IDPA shooting — one of today’s most popular pistol competitions. This rare .44 caliber Henry rifle, used during the Civil War, sold for $48,300 at a 2009 auction. Share the post "Shooting USA Showcases Fort Benning 3-Gun This Week"